Rodney Proskiw is the second candidate to vie for the B.C. Liberal party nomination in the North Coast riding. Rodney Proskiw is throwing his hat in the ring to be the next North Coast MLA as a member of the B.C. Liberal Party. The 12-year Prince Rupert resident announced his candidacy last week after the North Coast husband and father of three completed the vetting process with the party. Proskiw is the second candidate to seek the B.C. Liberal nomination in the North Coast riding, along with Herb Pond, to try and unseat NDP incumbent MLA Jennifer Rice. 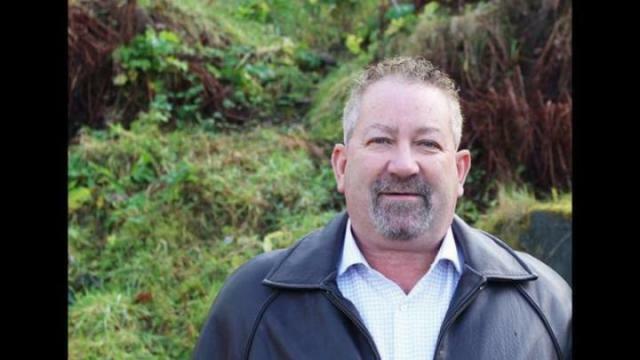 Proskiw is a business owner, operating Foggy Point Charters in Prince Rupert, a three-term president of the Prince Rupert Lions Club and is the zone chairman for Lions Clubs International, with responsibilities stretching from Haida Gwaii to Kitimat. The 51-year-old is also on the Tourism Prince Rupert board of directors as the longest-serving member. “Every community I’ve lived in, I’ve always gotten involved,” said Proskiw. Proskiw values hard work, and rewarding that work with progress in the community, something that he says there has been a significant lack of in the past few years. “Our situation, to be honest, hasn’t changed in the last 12 years since I’ve been here. We’ve always been on the cusp of something great. It’s always been right in front of us and each time we reach out for it we’ve been cut off at the knees. You can only live with that and put up with that for so long,” he said. Proskiw has lived all over the province and said he’s seen other regions make advancements that have left the North Coast in their wake. The Rupertite also mentioned that he’s greatly in favour of seeing some of the major projects proposed for the North Coast advance in a sustainable and environmentally responsible way, including the Pacific NorthWest LNG project should all the imposed conditions be met. “Everything I do in Tourism Prince Rupert relies upon a beautiful, natural setting and healthy fish stocks. I’m not going to be the one to put those at risk,” he said. Proskiw also identifies strongly with today’s B.C. Liberal Party, despite growing up in Edmonton, which he said was a strong right-wing area. The candidate said he’s always been strongly centre-right his entire life and looks to help those less fortunate find their way. “[The B.C. Liberals’] vision and their view is all about jobs and building the economy, building families and helping others. That’s what they do, so my personal vision and political vision align perfectly with the [party]. It’s an easy, natural fit for me,” he said. “Having somebody like myself who has some strength, determination and some vision – the possibilities are endless. With a strong voice [in Victoria] you would see immediate change come to the North Coast,” he said.